The best ideas are often the simplest. 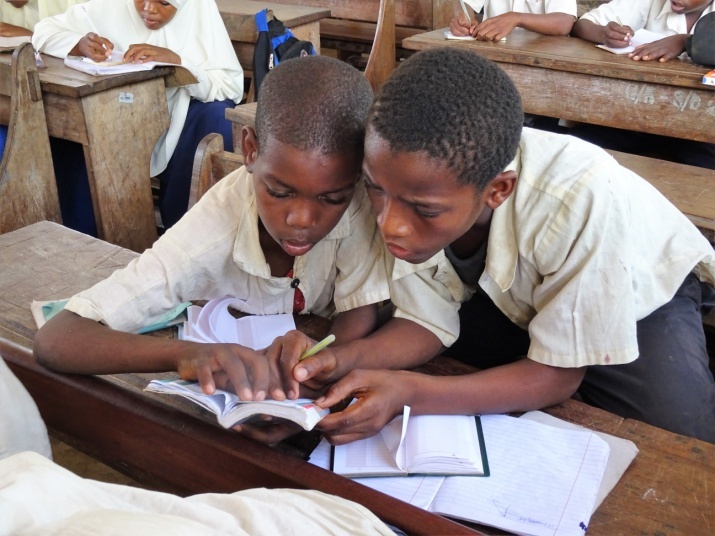 I teach English as a foreign language to primary school aged children in Zanzibar. The students don’t have text books and the books their teachers have are full of inaccuracies. But recently we received creative, accurate text books, full of activities that are feasible in a resource-poor setting. One of the ideas which sprung from this was to give students small books so that they can create their own personal dictionaries. As they learn new words, they add it in the appropriate place in the book along with a translation into Swahili. The students in my class, aged around 11 to 12 are obsessed with “looking it up in the dictionary”. They’ve only just learnt dictionary skills and they absolutely love the autonomy that they have in looking up the words they don’t understand. It's particularly useful when they are reading a book that stretches their vocabulary and it gives them a sporting chance to understand me! Each week we compile a list of their favourite new words and the Swahili equivalent. We then practice pronunciation and they have great fun correcting me. They learn the English and I learn the Swahili and the following week we test each other. It feels like we’re on a learning journey together. We started with groups of five or six students using one dictionary per group, but thanks to a generous benefactor we now have enough for every child in one class to have a dictionary each. But they have to go back in the cupboard at the end of the lesson. Hence the attraction of the personal dictionaries. Duly equipped with 26 small address books (helpfully the letters of the alphabet are cut into the pages), I shared the plan. Nobody cared that the front of the notebooks said “Addresses” not “Dictionary”, the important thing was that they would each have their own book. There was much excitment and I was thanked by a rendition of the alphabet song and “If you’re happy and you know it clap your hands”! My class has a reputation for being the noisiest, but on Thursday it was the quietest – the students went through their exercise books and started to create their own dictionaries. One boy proudly told me he’d “finished” as he had a word for each letter of the alphabet. There were more explanations and looking words up and eventually everyone understood it was a “dictionary for life”. The students always remember to bring their personal dictionaries to class and the fun of keeping them up to date hasn’t diminished over the last few weeks.